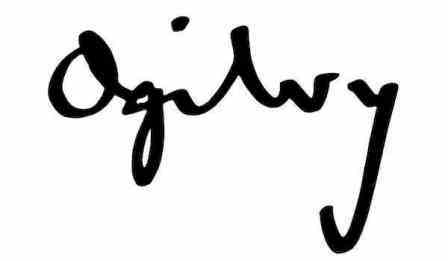 David Ogilvy CBE (1911-1999) was the doyen of advertising in America in the 1950s and 60s. Whilst his mother was Anglo-Irish, his father was a Gaelic-speaking Scottish Highlander. During the Second World War David Ogilvy worked for the British Intelligence Service at the British Embassy in Washington where he analysed and made recommendations on matters of diplomacy and security. It was his reputation as a superb wordsmith and communicator on Madison Avenue that established him amongst his peers as the pre-eminent ad-man in America, and his ideas on effective writing and branding are still highly influential. The character of Don Draper in “Mad Men“ is loosely based on Ogilvy and another famous ad-man of the 1960s, Leo Burnett. “The better you write, the higher you go in Ogilvy & Mather. People who think well, write well. Woolly minded people write woolly memos, woolly letters and woolly speeches. Good writing is not a natural gift. You have to learn to write well. 1. Read the Roman-Raphaelson ¹ book on writing. Read it three times. Hello Dionne. Many thanks for taking the time to comment. Ogilvy’s rules for clear writing are still the best. I often have to curb my loquacity when writing. Write, rewrite and rewrite again 🙂 Please feel free to read other postings on the site and comment. Susan.